India’s top five software exporters’ net profit may fall in the fiscal third-quarter on disruptive trends, increasing competitive intensity and pricing pressure along with muted demand and likely lower other income. Tata Consultancy Services (TCS), Infosys and three other top software exporters’ net profits are likely to fall by 3 per cent in the October-December quarter, the median estimates of a Tickernews poll of key brokerages showed. Software makers are expected to report one of the weakest sets of results in the quarter. This is due to overall weak demand environment and seasonal headwinds that are seen impacting the large-cap companies. TCS, India’s biggest software maker, is expected to report a fall in its net profit compared to previous three months led by muted demand from North America, banking and finance segment and seasonal weakness. 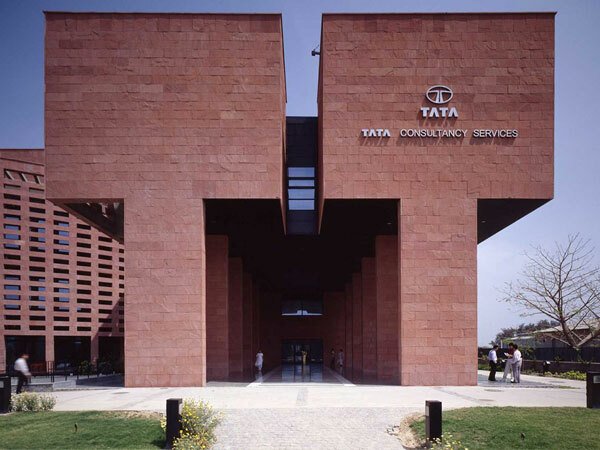 TCS, which will announce its third quarter results on Thursday, is likely to say net profit fell 0.88 per cent to Rs 6,389 crore in the Oct-Dec quarter from the previous quarter, a drop of 5.73 per cent against the year-ago period. Infosys, India’s second biggest software exporter, is expected to report fall in its net profit sequentially on account of weak operating profit margin and lower other income. Infosys will see net profit falling 3.48 per cent to Rs 3,596 crore on quarterly basis, while on yearly basis the net profit is seen plunging 3.02 per cent, median estimates of the TickerNews poll showed. The other three top software makers, including Wipro, HCL Technologies, and Tech Mahindra, are likely to report a drop in profit in the range of 0.54-4.01 per cent on quarter, the poll showed. Wipro, the third-largest software service exporter, and HCL Technologies, fourth largest software service exporter, will post a drop in net profit of 4.01 per cent and 0.54 per cent to Rs 2,103 crore and Rs 2,176 crore, respectively, compared to the previous three months, while on yearly basis net profit is seen plummeting 0.28 per cent and 5.07 per cent, respectively. Tech Mahindra, the fifth largest software service exporter, is likely to post a drop of 2.87 per cent in its profit to Rs 812 crore on quarter while on year the profit is likely to fall 5.02 per cent owing to lower other income. “We have build in a 1.6 per cent on quarter constant currency revenue growth with 20 bps on quarter cross currency headwinds for TCS,” Emkay Global Financial Services estimated. TCS sales may rise between 1.40 per cent and 4.14 per cent on year to Rs 309.69 crore while Infosys’ sales is seen at Rs 17,822 crore, up 1.45 per cent sequentially while posting a 3.18 per cent rise from the year-ago period. “We attribute muted sales growth in the third quarter on sustained softness in BFSI and retail on account of lower discretionary spending by large banks while rest of the business is expected to clock modest growth with digital growing robustly,” Edelweiss Securities said. Tech Mahindra is likely to witness growth in sales of Rs 77.57 billion in the third quarter, up 1.98 per cent sequentially while posting a gain of 2.64 per cent on year largely supported by enterprise segment. However, brokerages expect muted performance of communications segment to continue. The Azim Premji-owned Wipro is likely to report 1.04 per cent increase in the revenue to Rs 13,563 crore sequentially while posting a fall of 0.90 per cent in revenue on yearly basis while HCL Technologies is likely to clock biggest gain in the revenue among the top five companies at Rs 12,832 crore, up 3.20 per cent on quarter and 8.61 per cent on year. The biggest highlight of the quarter is likely to be Infosys’ new future strategy (with the new CEO at the helm) after major changes in the board and top management recently. IT companies are likely to report constant currency (CC) growth in the range of 1-2 per cent as weak seasonality kicks in the quarter accompanied by the transformation that the IT industry is going through.